Controversial humorist Tanjay Bhat released video making fun of Indian idols Sachin Tendulkar and Lata Mangeshkar and saw a huge backlash online. An Indian comedian has provoked a huge reaction on social media after posting a video mocking two of India’s biggest living legends., with local police asking Facebook and YouTube to block it. Tanjay Bhat has been both slammed and defended online for his antics, which saw him make close-to-the-bone comments about cricketer Sachin Tendulkar and singer Lata Mangeshkar. The sketch, posted on Facebook and Snapchat, is an argument between the two, in which Bhat, among other things, says (as Tendulkar) that 86-year-old Mangeshkar is "5,000 years old" and suggesting she should die. Bhat has caused significant controversy throughout his career, pointedly making jokes about religion, politicians and celebrities in a manner that resonates with younger audiences but is reviled by some. According to AFP, police in Mumbai approached Facebook and YouTube after receiving complaints from local politicians, one a member of the ruling Hindu nationalist BJP party. In response, Bhat said the video was "nonsense", that he loves both Tendulkar and Mangeshkar and was "just having some fun". The video has split the masses on Twitter. Many have savaged Bhat, including high-profile personas in media and business, and some have called for him to be arrested. 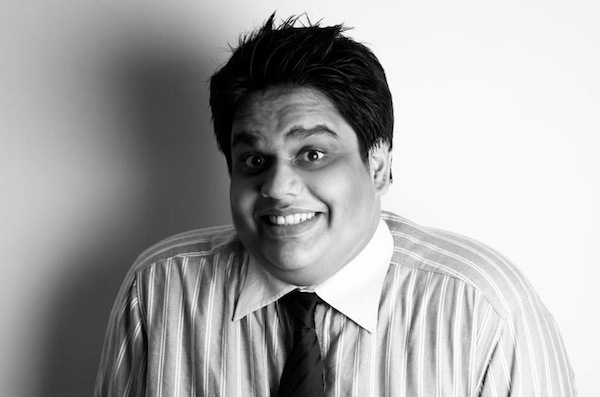 The AIB video - #TanmayBhat needs to be made to grovel at Latajis feet and publicly apologize. Its appalling. However some have also come to his defence, including Bollywood superstar Sonam Kapoor, while others have questioned the calls for arrest. Don't you guys think there are issues that are more important than @thetanmay snapchat jokes??? I'm in shock with this over reaction! Being living legends I know @sachin_rt and @mangeshkarlata don't even know and care about what's going on!stop spewing hate on their behalf! Inflation, Farmer suicides, insurgency, corruption, economy, can all wait. #TanmayBhat 's video is the matter of national importance. Lego VC: Denying Ai Weiwei bricks "a mistake"